I can eat inaccessible tiles. It would be better still to include an option to choose your own soundtrack or audio feed,. Who will be the composer? Sure not, they use working files (we don't have them), that the devs then process in game files. You do not believe in vain. All translators are working with XML files. There are no other files. Personally, I'm waiting for a beta announcement. It's high time! goose_2 wrote: so...any thoughts on how I can rectify this let me know. It will probably have to wait until I get home tonight. For the tournament, ask the Slitherine to create an e-mail for you on their corporate website. For the home, change the password to a more secure one. proline wrote: 1) The Panzer Strategy folks are clearly Russians that don't speak English. Firestarter99 wrote: Yes, it's Panzer Corps 2, announced by Slitherine! You asked? - Get it. This appears after choosing the difficulty, while watching the intro video. Modern NVIDIA cards have a memory of a multiple of 3 GB. I voted for 2048. Musketeer wrote: Proponents of 3D, name ONE game which turned with 3D for better, has better AI, has lower hardware requirements etc.? This game will be the first! You better come here in a year and then criticize the game. This will be more reasoned. Ruggs225 wrote: Will this game eventually be ported to iPad? 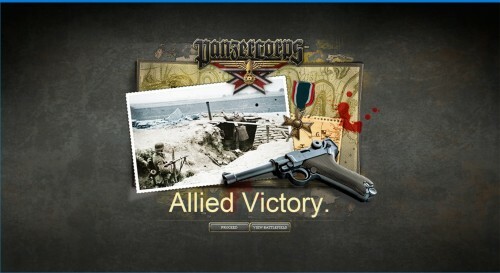 I loved panzer corp for the ipad and find it more enjoyable to play on an ipad than pc. I was really dissapointdd when OOB did not get released on ipad when originally they said were going to. Unreal Engine 4 is Cross-platform. Guys. We have done a great tournament! It was a very difficult tournament. Congratulations to all the participants of the tournament with a Happy New Year. You are all good fighters! Topic: Panzer Corps Tournament - The Semifinals! Re: Panzer Corps Tournament - The Semifinals! Confirmation Goose words that I was defeated. Topic: Panzer Corps Tournament - The Quarter Finals! Re: Panzer Corps Tournament - The Quarter Finals! goose_2 wrote: Which side did he play. I played for the USSR, as well as in our game with you. At least 3 players for the Soviets won. Our are not very good. We did 3 turns. Mark missing from 5 November. I'm waiting for him. I play for the USSR. I did turn 12. Displaces dbackfed29 to his last hex on the south west. In multiplayer, he has not surrendered, the game is not finished. If we finish playing, there will be a marginal victory for USSR.